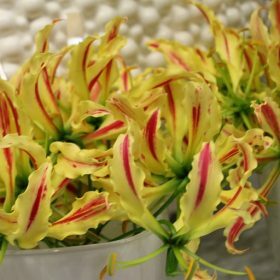 Gloriosa are also known as the Flame Lily of Rhodesia. 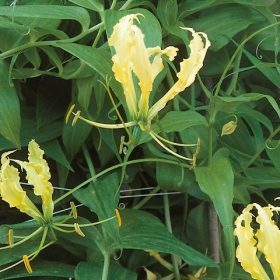 Gloriosa greenii produces flowers that are long lasting and floriferous with very striking yellowish green. 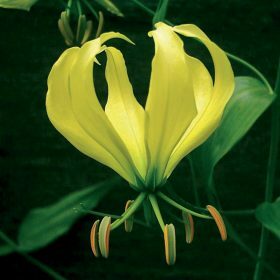 The flowers of Lutea are a lovely lemon yellow. Sparkling Stripe has pale lemon petals with a central pink stripe and is stunning.